Pink eye, also known as conjunctivitis, is one of the most common and treatable eye conditions in the world in both children and adults. It is an inflammation of the conjunctiva, the thin, clear tissue that lines the inside of the eyelid and the white part of the eyeball. This inflammation makes blood vessels more visible and gives the eye a pink or reddish color. It can be difficult to determine the exact cause of pink eye because some signs and symptoms may be the same no matter the cause. Learn When to See a Doctor for Pink Eye. When to See a Healthcare Provider? 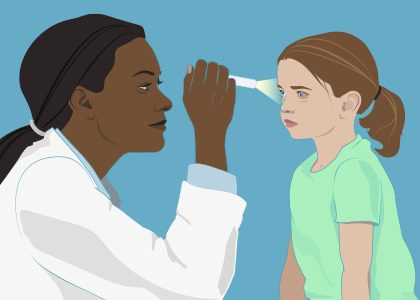 An infant or newborn with symptoms of pink eye should see a healthcare provider immediately. See conjunctivitis treatment for more information. 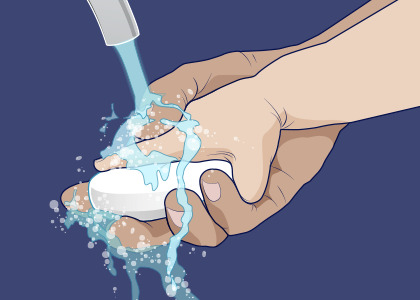 Reduce the risk of getting or spreading pink eye by washing your hands. See conjunctivitis prevention for more information. A newborn baby who has symptoms of pink eye should see a healthcare provider as soon as possible. Pink eye in newborns can be caused by an infection, irritation, or a blocked tear duct. Neonatal pink eye caused by sexually transmitted infections, like gonorrhea or chlamydia, can be very serious. If you are pregnant and think you may have a sexually transmitted infection, visit your healthcare provider for testing and treatment. If you don’t know whether you have a sexually transmitted infection but have recently given birth and your newborn shows signs of pink eye, visit your child’s healthcare provider right away. Most hospitals are required by state law to put drops or ointment in a newborn’s eyes to prevent pink eye. For more information, see conjunctivitis in newborns.